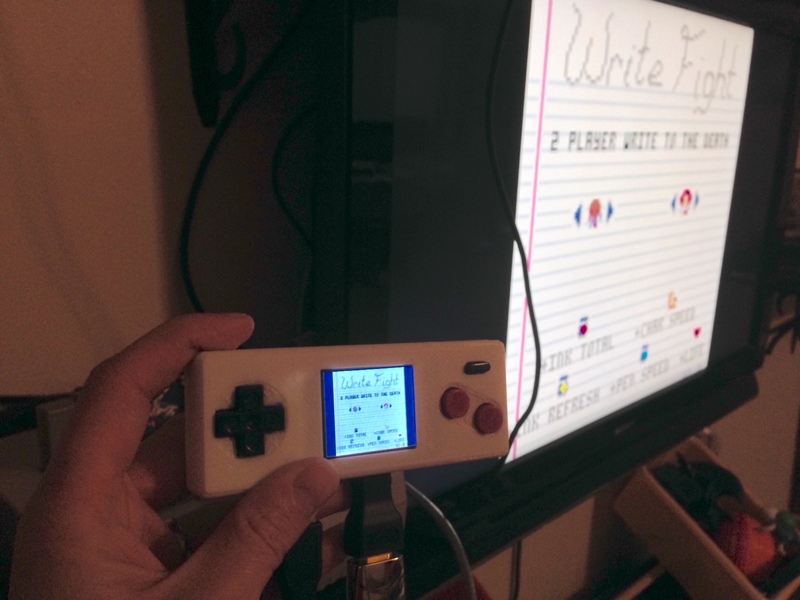 I've been working on a handheld for playing PICO-8. It uses a Raspberry Pi Zero, and an Adafruit 1.8" screen for displaying. The screen size is 160x128, so PICO-8 fits perfectly (alright, centered). The buttons and button PCB are robbed from a USB NES controller I had. The case is 3D printed to fit the parts (very tightly). Total size of the unit is 120x45x20mm. The screen mirrors the output of the HDMI, so you can play with either the TV or built in screen. Currently, it has no internal battery, but I'd like to find a good lipo battery to add. In the meantime, I just connect a USB power stick. I'm trying to port Write Fight for playing on a cocktail cabinet (players at opposite ends of a face-up screen). 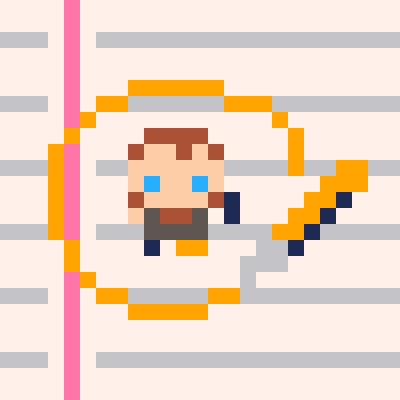 So one of the things I want to do is write text & HUD elements oriented to the player who collected it. Is there a function, such as camera(), where I could flip/rotate all draw calls until reset? I'm doing work-arounds in the meantime, but I thought I'd throw out the question. Two-player deathmatch game. Players draw lines which will damage the other player if touched. Pick up ink bottle power-ups to increase your draw speed, ink reserve, and refresh speed. Includes 9 characters and 14 randomized maps. X/Q change the player color on the home screen. I don't know if this is a bug or feature, but it seems to me that nested loops do not work. Two player game. Players try to draw a line into the other by holding the button down to draw. Pick up ink bottle power-ups to increase your draw speed, ink reserve, and refresh speed.